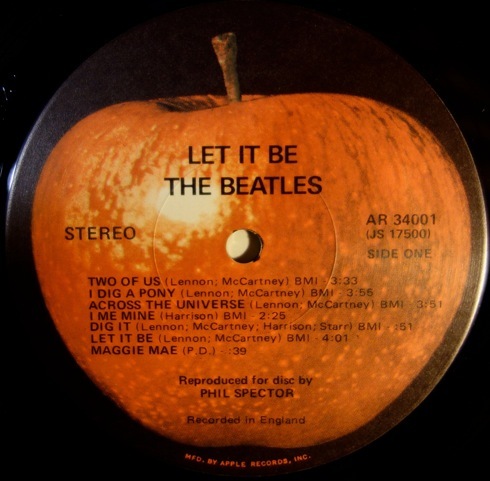 This entry was posted in Apple Records, Beatles, Beatles Collecting, Beatles Music and tagged Apple Records, Beatles, Bell Sound, fake, Let It Be, Let It Be Variations, Let It Be versions, red Apple by beatlesblogger. Bookmark the permalink. Great post. 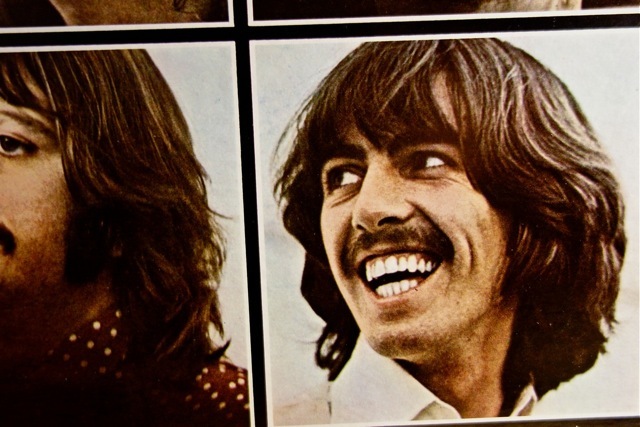 There’s a project just started at 45Worlds.com to catalogue every LP ever issued (!) and I’ve added a link to this post under the US LIB LP. What you have detailed will be useful info for collectors. One key difference is, besides everything else, that all fakes have a 2.75″ diameter pressing ring. Capitol’s plants had 1.5″ diameter pressing rings. 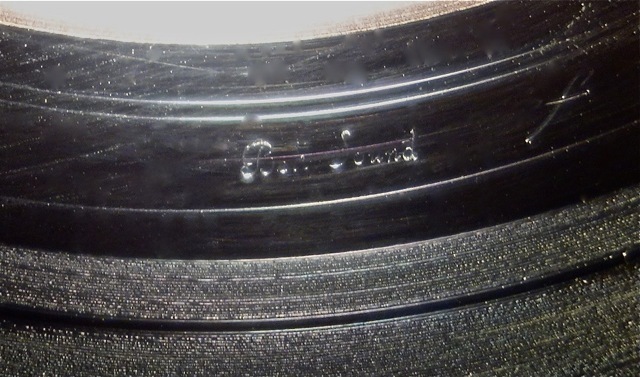 Scranton pressings, besides the glossy paper stock used for the labels, had -13 and -14 lacquers cut by the esteemed Mr. Feldman. 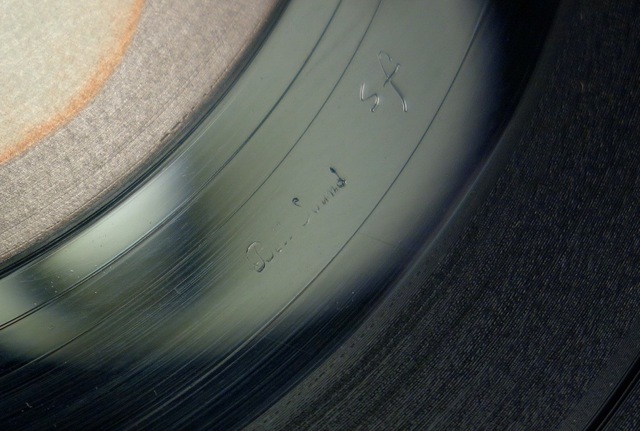 The other plants – Los Angeles, Jacksonville and Winchester – used uncoated stock, but the same rule of thumb applies to their pressings vs. fakes as well as to the Scranton pressing you’d gotten. L.A. had a six-pronged asterisk in the deadwax; Jacksonville, a stamped 0 or hand-etched O; and Winchester, what was supposed to be a representation of a Winchester rifle but came off more looking like a tipped wineglass ( · -<| ). 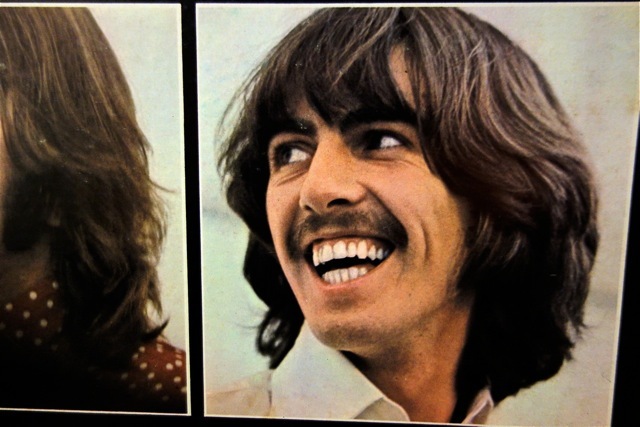 My own copies (I have two – another variant lists the Fab Four as arrangers of "Maggie Mae" on the label) are all Scranton. I avoid fakes like the plague. Thanks WB, I was getting all worked up about my copies, I thought they were fakes because they are not glossy, they’re the uncoated label stock. I wish I had a glossy labeled one! But I feel happy that my copy is not a fake. Thank you for this. It’s nice to know the $30 I dropped yesterday was not in vain! 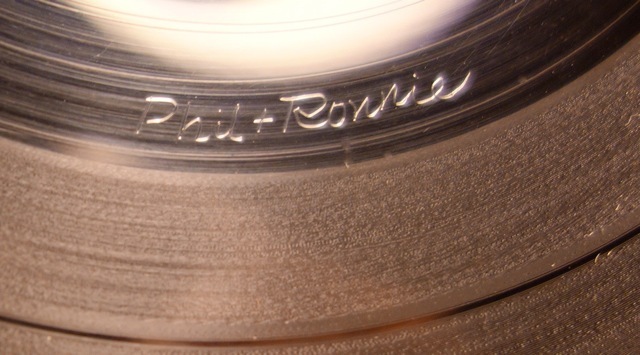 My R in Phil + Ronnie looks much different. 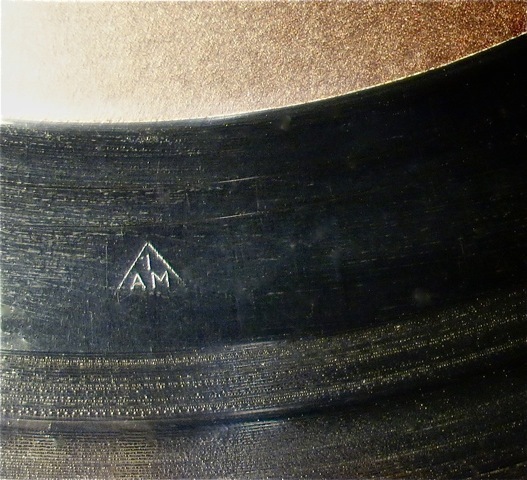 I have a Bell Sound stamp but can’t find an IAM triangle. There is a 0. I’d say if the Bell Sound stamp is present then you have a genuine copy. Sorry for taking so long to reply! Generally, their pressing rings would have been 1.5" diameter, as I'd noted some posts above. Thanks again W.B. Really helpful additional info for all collectors. 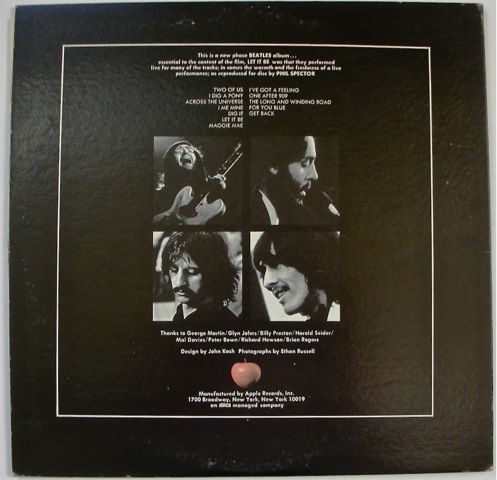 How do I find out the year that the vinyl that I own was made? 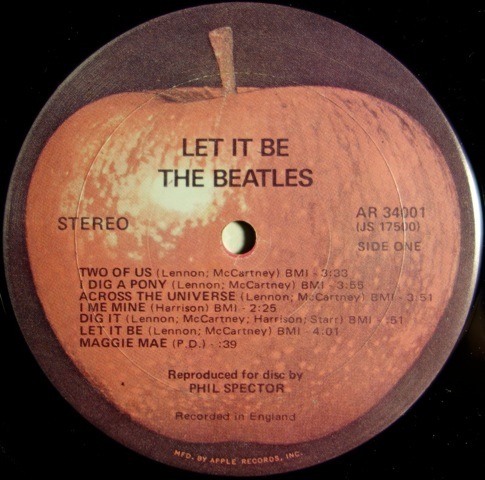 I have a genuine copy of Let It Be and I’m just trying to learn more about it. 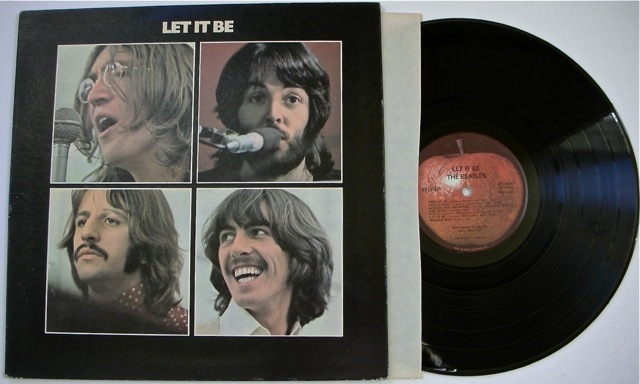 Just bought Let it Be, AR34001 (JS 17500) matrix no JS17500 -21 (side1) (JS17501 -11) can’t find it registered anywhere – have I bought a fake? I have he exact same copy. 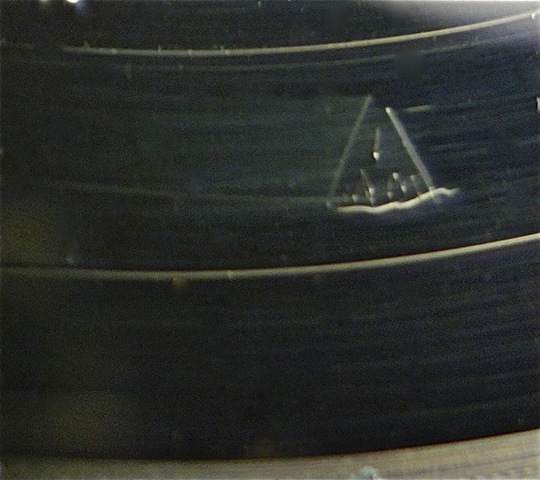 There’s no bell sound or IAM triangle on it so my conclusion is that it’s a fake. Sadly, yes it does mean its a fake…..
Just discovered my own bootleg today which I’ve owned for 25+ years…nobody seems to comment on the sound quality, have you a/b-ed real vs boot by any chance? Hi Lindsay, have not done an a/b comparison. Will do so and let you know! Thanks, I’d be most curious. Actually, I’ve always enjoyed my copy, though it may seem a little rough around the edges sonically – I’d always attributed this to the production and general aesthetic of the album.